Around these parts, at least, I suspect that all but the hardiest of Easter Bunnies will be hiding the chocolate eggs in the family room instead of the back yard. Personally, I think it would be a lesson in character building to send the wee ones out between snow squalls to hunt for eggs. Make them work for that chocolate. You, however, do not need to work for a thing. Unless you want to brew yourself a cup of tea first or perhaps pour yourself a shot of something a little more bracing, there is no need for you to do anything more strenuous than to click on the links. Through the magic of the internetz you will be taken to a treasure trove of engaging reading material to enhance your long weekend. Perhaps I exaggerate slightly, but I do invite you to read some of my latest publications, such as the column in today's Calgary Sun (above), where you can learn about the National Music Centre's collection of Garnet amps and the role they played in developing The Winnipeg Sound of rock n roll. For more recent music talk, you can check out my review of Thus Owls' stunning new album, Turning Rocks. Have a listen to some of the gorgeous tracks while there. 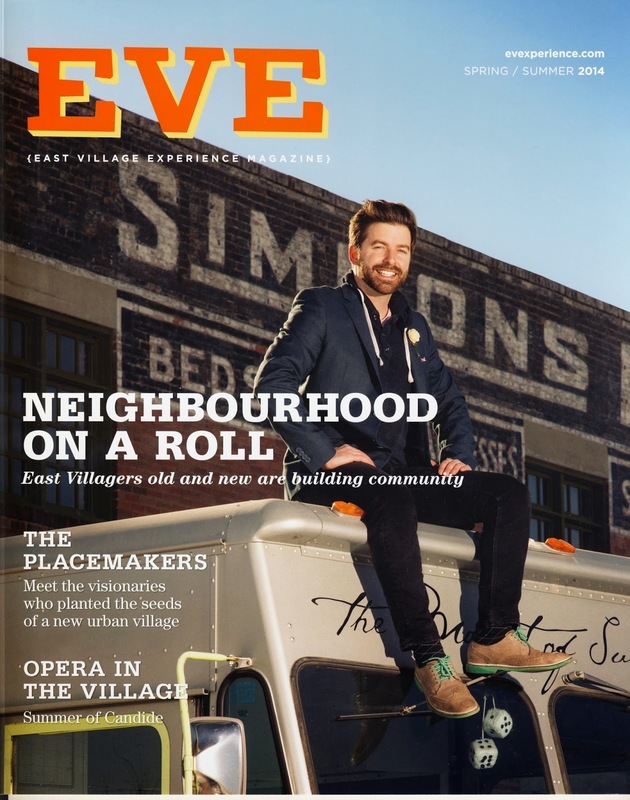 And if neighbourhood planting/community building is more your thing, please read my article in the spring-summer issue of EVE Magazine. The fabulous photos that accompany my words are the work of photographers much more talented than I. And for that we can all be grateful.